This weekend, I sat in in a cabin next to a wood burning stove with the Arkansas River not 20 yards away from me. I brought my Yamame and Ito hoping to get some fishing in but it was not meant to be. The winds howled, rattling the wood stove chimney and everything else in the cabin. 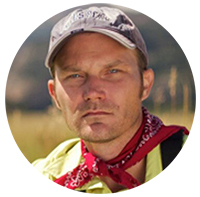 All I could do was “window fish”–scanning the runs and pools I would have dissected with my tenkara rod if it weren’t too windy to fish. Now before you say, “it’s never too windy to fish”, consider the facts that the highway was closed due to “high winds” (I’ve never even heard of that before) and the American flag affixed to an old, rickety wagon in the cabin’s front yard was literally torn to shreds by the wind. I even had a hard time controlling the car to get there. Believe me, there’s not much that can get between me and a river full of fish. It was that bad. While I didn’t get to fish, at least I got some quiet time to reflect, and the warm glow of the fire always seems to invite insights and ideas. I was thinking about all the recent talk about the simplicity of tenkara as well as some of the criticism. 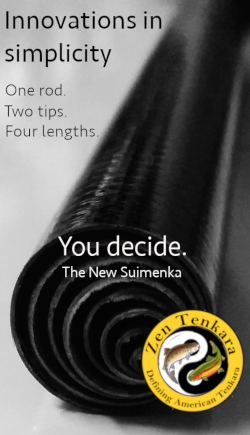 Some critics of tenkara seem to think tenkara is too simple. Without a reel and terminal tackle like strike indicators, split shot, etc., they seem to think tenkara is “limited”, “boring”, or “a fad“. But the more I thought about it, the more I realized that there is actually lot more going on in tenkara than is immediately evident. In fact, I would argue that tenkara’s simplicity is highly deceptive and if you deconstruct it, it’s actually incredibly diverse. While a long, “reeless” rod with a fixed line is about as simple as you can get, ironically, it offers a great deal of flexibility and diversity in presentation. Not only can you make traditional Japanese tenkara presentations of pulsing the fly, but you can also make perfect, dead-drift presentations with dries and nymphs. You can swing wets downstream or make upstream or side stream presentations. You can reach around boulders that a 9 ft. western rod couldn’t. You can dap (dare I say it?). And don’t forget other techniques like the bow and arrow cast. But deciding which type of cast to make is just one part of the equation. The fact that you can’t shoot line means that you’ll also have to think more strategically about how to best position yourself to make the presentation. This alone can prove to be a very interesting and fun challenge. Many decisions have to be made for each presentation. While some may see a reeless rod as limiting, I happen to think it pushes me to be a better angler by constantly challenging my skills and helping me to think better on my feet rather than relying on my gear. 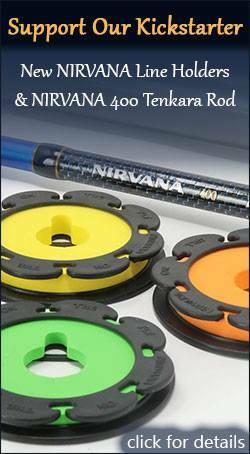 Tenkara lines may not be as complex or as engineered as their western counterparts, but there are a lot of options. Today, you can choose from furled lines made of monofilament, fluorocarbon, or Kevlar; level fluorocarbon lines in weights anywhere from #2.5 to #5; and you can even buy or make your own horsehair line. A lot depends on conditions and probably even more depends on preference, but there is certainly no shortage of options and experimentation when it comes to lines. At first glance, most sakasa kebari don’t look like much. They’re usually little more than a hook, hackle, and (usually) thread body. But if you use your imagination, there’s an astonishing variety of patterns you can create with a mere 2-3 materials. Just for body materials alone, I’ve already made tenkara flies with thread, wire, epoxy, horse tail, twisted camel hair, dubbing, peacock herl, and a variety of other materials (click here to see some of them). Combine that with different combinations of hackle like partridge, hen, grouse, etc. and the possibilities are nearly infinite. If you don’t subscribe to the one fly approach, you could probably never get bored trying different combinations of materials in your sakasa kebari even if you stick to just the traditional reversed hackle style. I won’t even go into hunting down the perfect branch to make your own tenkara net, combing through the forest floor at just the right time of year to find the elusive zenmai, or even the variety of tenkara DIY projects you could save up for a rainy day. But by now, I hope I’ve at least shown that “simple” doesn’t mean “limited” or “boring”. And by extension, I think it’s fair to say that the hidden diversity tenkara offers will prevent it from becoming “a fad”. 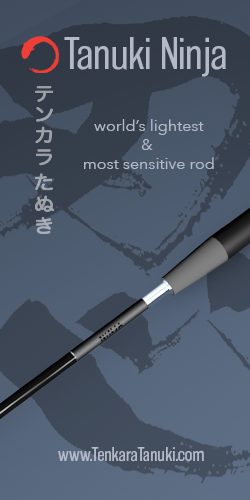 If you try it, I think it’s inevitable that you’ll see tenkara is much more than just a rod, line, and a fly. It’s an entire experience that one could spend a lifetime pursuing, yet never exhausting. Jason: great thought. Sort of like going to a Rockies game. You can go & just enjoy the sun & day, or you can get into how complex the preparation & execution is during each at bat. Sorry you couldn’t hit the water. The way it is going here up north on the Front Range, we’ll be fishing soon, with little run-off. Good analogy Jim! I think tenkara also offers the opportunity to invest as much or as little as you want into it. Sounds like a really bad case of cabin fever to me. I hope the weather turns and you get out again soon, Jason. My only add here would be for one to try to avoid undoing all the simplicity ethos by carrying multiple tenkara rods and multiple leaders with you. You know you’re heading into troubled waters if you need to wear a backpack or quiver for the additional gear…. Thanks Chris. Excited about the moose antler! I agree that Tenkara is not a fad. It seems to me most of the people practicing Tenkara,were looking for a different style of fishing and Tenkara fills the bill. They weren’t swept into as the latest novelty. Fads start out as being very exciting and fun but quickly loose their luster. Tenkara is a bit difficult to adapt to at first, but the more you practice, the more potential you see in it. The challenges of the sport grow rather than become stale. Sorry about your bad fishing trip. I experienced similar frustration with very different circumstances this week. I was working at Ken Lake Resort Park on Kentucky Lake, in Kentucky. Warm winter day, clear sky, light breeze, other guys on the lake fishing. My schedule did not allow any time to go down to the water and give it a try. This makes me think of an idea that is not new – poets and artists have know it for a long time and that is this: Limitation creates freedom and unleashes creativity. Think of poetical forms (sonnet, haiku, villanelle), painting forms (still life, portrait, landscape),Musical forms (passacaglia,waltz, bossa nova), etc. Musician, Brian Eno brought this up in an interview that I heard recently – he talked about how free-jazz wasn’t really “free”. By removing the form the artist falls into old habits and cliches – so in fact the freedom is illusory. Restriction and limitation refine the art and make the artist work harder at expression. So it is with tenkara. 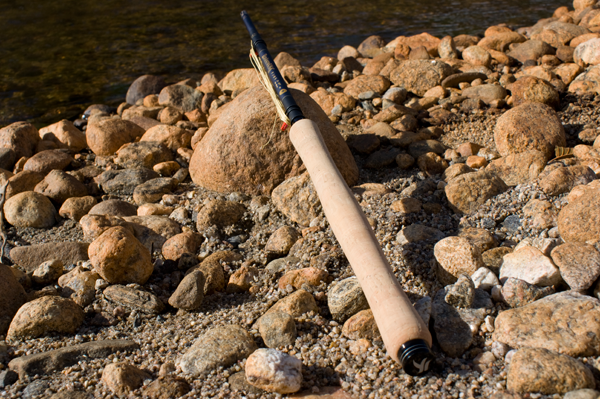 The “restrictions” of tenkara will refine your skills and make you a better angler. 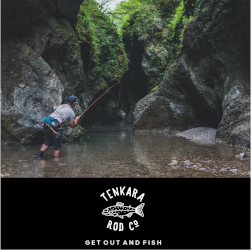 Tenkara will set you free! (okay may that’s a little hyperbole). All I can say is “Amen”! VERY well put Anthony! I agree 100%. 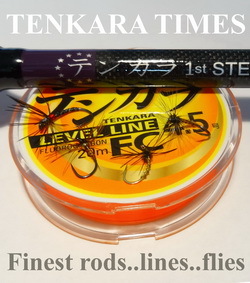 I saw a video a while back of a Tenkara angler in Japan, who made a shooting line Tenkara cast. He had coiled the excess line over his left hand in big loops, not quite reaching to the ground. Then he made a bow-and-arrow cast which pulled the excess line off of his left hand, just like line flying off of a spinning reel spool. The cast put the fly into a fairly narrow nook under an over hanging tree on what appeared to be a tributary creek, just the kind of place you would expect a fish to be. It blew me away what that guy could do with a Tenkara rod and a long length of level line. Karl, do you have a link to that video? I would love to see that.